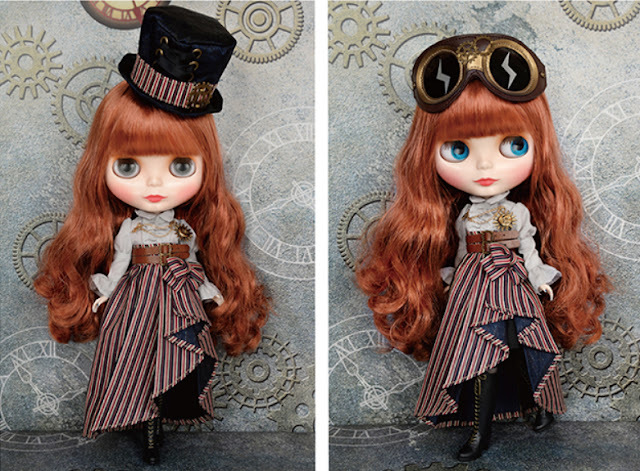 New for November 2017: Blythe's new steampunk-themed Neo-Blythe doll, Shelley Victorian. I was delighted, thinking Shelley Victorian was named after Mary Shelley, the first sci-fi author. 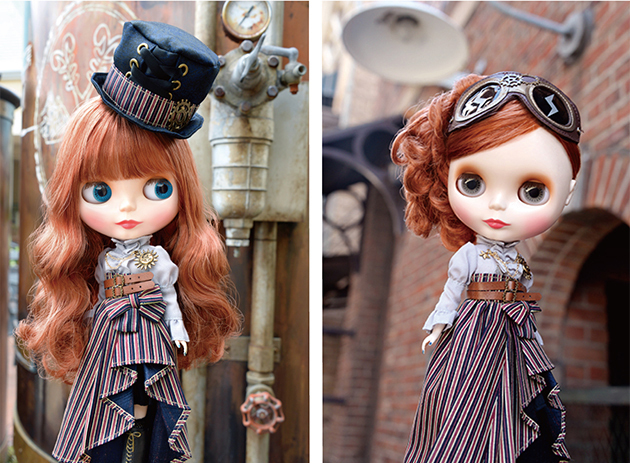 But it turns out Shelley is a name of a couple other Blythe doll models. Oh well! Anyway, I love her copper hair color, striped dress and faux leather boots. She's the perfect doll for autumn, too! "Sometimes, I like to travel through time to meet my friends. Who you ask? H.G. Wells and Jules Verne of course! I love to chat with them, thinking up new concepts for our books and inventions." She's available on eBay and via the Junie Moon shop.